All of Nathan's projects are custom built in his shop, located in Lovettsville, VA, using the finest raw materials. 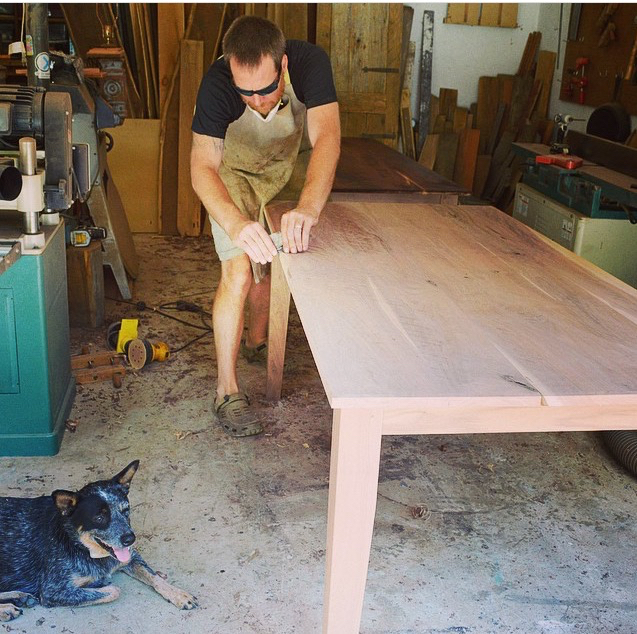 He specializes in working with local salvaged lumber and live edge slabs. When working with clients, he adheres to the philosophy that form follows function. To create the right piece, he will get to know the homeowner and the space. What are your tastes? What is your design sense? How do you want this piece to function? What does the room or environment look like? Share with him your plan and ideas. Even if it is as simple as a sketch on a napkin or an idea in your mind. He will listen to your ideas and offer advice to help bring your vision to life. Together you will work out the final design and he will create a bid for the project. Once the bid is established, a 50% down payment allows him to start on your project. The whole process is collaborative and easy.